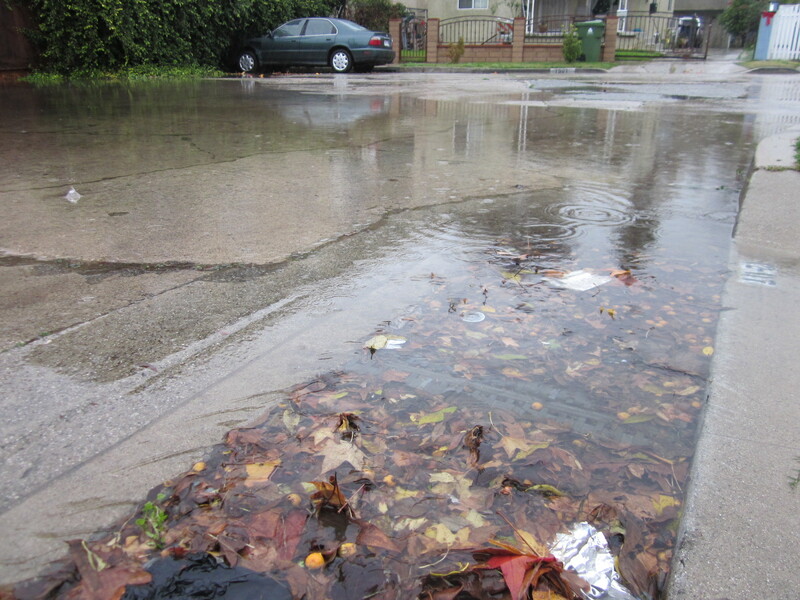 Sweep up your leaves – but NOT into the road or over storm drains please. Street sweepers are not equipped to pick up piles of leaves. Storm drains are not trash cans. Pick up discarded trash and put it in your garbage bin (recycle any aluminum cans or plastic bottles). Do not hose down dirt, leaves, grass clippings, or other debris into the storm drain… this is the #1 culprit of a clogged drain. Sweep it up and discard it with your yard waste. The best use of leaves is garden compost: as described in our recent free Savvy Gardener class, placing leaves on top of flower beds and vegetable gardens makes great compost, healthy soil, and a happy home for worms. Sprinkle a little soil (or a bag of Cedar Grove Compost) on top of the leaves to keep them in place. Mow over the leaves in your yard to create finely chopped mulch and then… simply leave them there. It’s one less chore you need to do and your lawn will love the mulch! Put excess leaves into your yard waste bins if you live in an area with curbside service. Put excess leaves into a paper yard waste bag and deliver them to the local Shoreline composting facility. 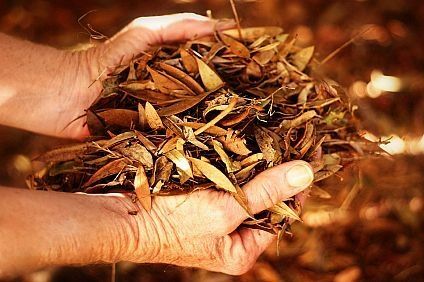 If you use a landscape maintenance company, ask the landscaper to take the leaves (they typically compost all of their yard waste). While you’re on the lookout for leaves, it’s a good idea to check your gutters and downspouts to make sure they’re clean and flowing freely. Replace any that are leaky or broken, and make sure downspouts are directed away from your house. 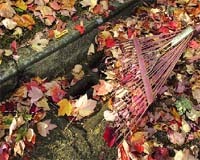 If you can clear it without placing yourself in danger, use a rake to help you reach and remove the leaves—without entering the street. 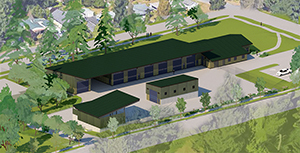 ← Come See the Salmon Migration at Cedar River!